Croatia Honeymoon Packages [2019 / 2020] Book Today! Take a look at our choice of Croatia Honeymoon Packages! Our Croatia honeymoon packages are affordable, glamorous, relaxing, and perfect for you to spend some quality time with your partner, soaking up the sun, scenery and splashing in the crystal clear blue sea. Croatia may not be the destination you immediately think of when it comes to your honeymoon. But the beautiful waters of the Adriatic can easily rival those of the Caribbean. Our multi-centre trips bring you new destinations to explore together with your partner, making memories to treasure for a lifetime together. If you’re an active couple then you’ll be spoilt for choice, with hiking, snorkelling, sailing, cycling and water sports. Or if you prefer to take it easy you’ll be able to relax and unwind with a cocktail on stunning beaches, and sample some delicious food in harbour-side restaurants. Our packages include a choice of luxury accommodation, private airport transfers and between destinations, and a special gift for the newlyweds. We like to go over and above, providing everything you could possibly want on your Croatia honeymoon. Here are some examples of destinations for newlyweds in Croatia. We can create bespoke honeymoon packages to these destinations, additional destinations, plus a variety of day-trips, excursions, and activities. 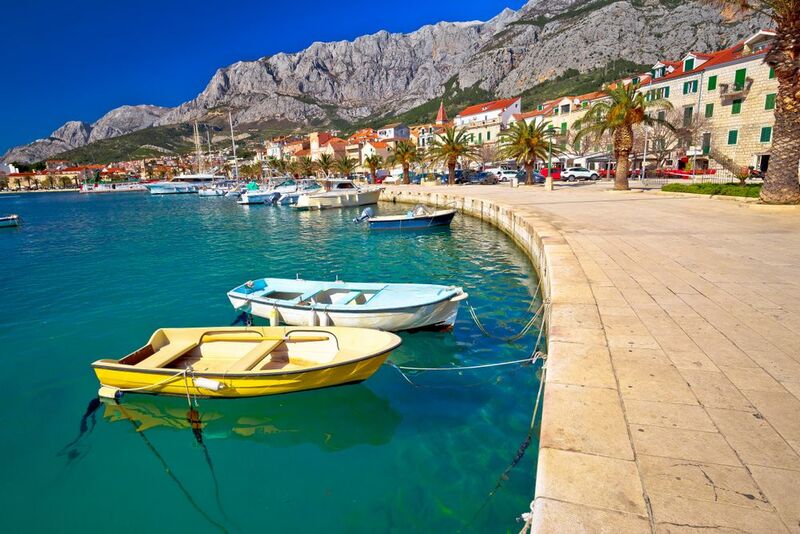 Makarska is located within the Riviera area of Croatia, located within a horseshoe-shaped bay, with an active port. The centre of the old town is in Kačić Square, where you will find plenty of open-air bars, cafes and restaurants, and just around the corner, behind the church, is the daily market, which sells fresh fruit and vegetables. Along at the harbour, you’ll find restaurants and cafes serving pizzas and locally-caught seafood, plus a number of boats offering excursions to the islands of Hvar and Brač. Both islands have stunning beaches and bays – the ideal spot for a romantic getaway. Some of Croatia’s most beautiful beaches are located in and around Makarska, with peddle-boats, banana rides and jet-skis for hire, or if you prefer something a bit quieter, there are plenty of other beaches and bays within walking and cycling distance. Heading northwest from Makarska, you’ll come to the Buba beach bar, located in a picturesque bay with sunbeds and umbrellas. It’s quiet by day but becomes livelier throughout the evening with DJs, cocktails, and occasional live concerts. In the opposite direction, southeast of Makarska lies the Nugal nudist beach. Split is the second-largest city in Croatia and one of the oldest settlements in the Adriatic: a perfect location for couples to discover the history of Croatia. Split was originally built around an Ancient Roman palace, built by the Roman Emperor Diocletian in the 4th century AD. The complex is huge and is protected under UNESCO World Heritage status. There are lots of other places to wander in Split, including Marjan Hill which offers stunning views across the town and out to sea, or the Riva promenade with bars and restaurants looking out on to the water. Unusually for a large city, Split has plenty of nice beaches where you can relax, and unwind. It is also within easy travelling distance of the National Parks and tourist attractions, so it’s the ideal base for day trips and excursions. The historic Korčula town, on the island of Korčula, boasts a spectacular medieval old town and fortifications, as well as romantic cobbled streets and sunny beaches, making it an ideal location to spend your honeymoon. The town has plenty of history to learn about, including a connection to the explorer Marco Polo. If you’d rather spend time wining and dining then you’ll be spoilt for choice, with everything from relaxed cafes to fine dining and rooftop cocktail bars. Undoubtedly, one of Croatia’s most romantic cities is Dubrovnik, which is fast becoming one of the most popular destinations worldwide. 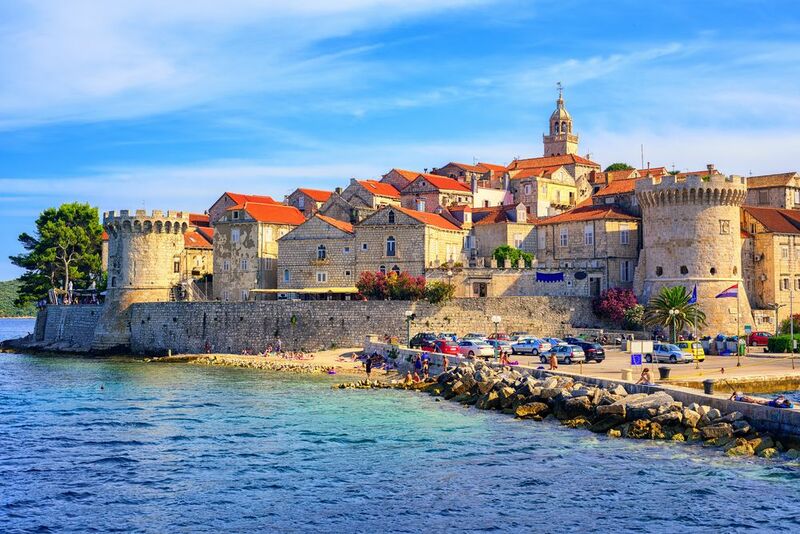 Walk the narrow streets of the UNESCO-protected old town, and climb the city walls to enjoy views over the red-tiled rooftops and across the Adriatic sea. You’ll find plenty of romantic activities to keep you and your partner busy in Dubrovnik. Sail to Lokrum island and explore a 19th-century palace and gardens, where peacocks roam free, or ride to the top of Mount Srd in a cable-car, for a romantic picnic with panoramic views of the Adriatic coastline. We can tailor our Croatia honeymoon holidays to suit you and your partner, adding on extra days, cities, excursions and activities. Begin your honeymoon in Venice, one of the most romantic cities in the world, and sail over to Croatia in a ferry boat. Add a day trip to Montenegro or Bosnia and Herzegovina, or to the famous Plitvice Lakes National Park. Unlike other honeymoon packages, we can adapt to suit you, creating a unique trip, which is entirely bespoke to your needs and interests. If you like the idea of spending your honeymoon in Croatia, please give us a call today and we’ll help you plan your dream holiday.